Straddling the South China Sea and home to an array of cultures, a diverse geography and a futuristic capital city, Malaysia is a truly unique country, in both its landscapes and its citizens. Choose to study in Malaysia and you’ll discover that the country’s natural beauty extends way beyond its ancient rainforests, national parks and glorious beaches. In the cities too, there’s plenty to keep all the senses occupied, from colorful and varied markets to the mosques, Buddhist temples and Hindu shrines that are often found side by side, and the profusion of annual festivals celebrating both traditional and modern aspects of Malaysian culture. One of the world’s most politically stable countries, Malaysia may be second to Singapore in terms of regional economic clout, but it offers a much more organic lifestyle than its city-state rival. One half of the country, situated on the southern tip of the peninsula below Thailand, is known as Peninsular Malaysia. This is where the highest ranked universities in Malaysia can be found, along with the most diverse and vibrant urban areas. The other half, Malaysian Borneo, shares an island with Indonesia and remains the quieter of the two halves, offering solitude, authenticity and jungle life. Although Kuala Lumpur is the capital city, the headquarters of the federal government is in Putrajaya. The currency of Malaysia is the Malaysian Ringgit (MYR). Amount needed for living costs per year: approximately US$3,440. Students can work up to 20 hours per week, but only during semester breaks of more than seven days. Major exports include petrol, electronic equipment, natural gas, wood and palm oil. The national language is Malay (or Bahasa Melayu), but English is also widely spoken. The western and eastern halves of the country, separated by the South China Sea, are 640km apart and known respectively as Peninsular Malaysia and Malaysian Borneo. Peninsular Malaysia shares a border with Thailand in the north, while Malaysian Borneo shares an island with Indonesia and Brunei. The country is divided into 13 states and has three federal territories: Kuala Lumpur, Putrajaya and Labuan. The constitution recognizes Islam as the official religion, but there are also sizable Christian and Hindu minorities. 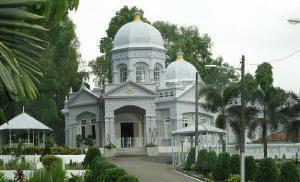 The religious plurality in the region means individuals should feel free to practice any religion. The tropical climate means warm and humid weather all year round. A significant proportion of Malaysian territory is covered by tropical rainforests, much of which is surprisingly accessible. Malaysia is home to several international branch campuses of universities from other countries, a plan aimed at expanding and improving the country’s range of higher education options. Existing branch campuses include those operated by the UK’s University of Nottingham and Australia’s Monash University. Malaysia’s investment in branch campuses has resulted in the new EduCity development in Johor, at the southernmost tip of Peninsular Malaysia, just 5km north of Singapore. This 350-acre campus will be shared by eight international branches run by leading universities from around the world. These include the UK’s University of Reading, the University of Southampton and Newcastle University Medicine, as well as the Netherlands’ Maritime Institute of Technology, Singapore’s private Raffles University and the University of Southern California’s School of Cinematic Arts from the US. While the growing presence of overseas universities in Malaysia is broadening the country’s higher education offering, its home-grown universities shouldn’t be overlooked. Malaysia’s higher education system was ranked 25th in the QS Higher Education System Strength Rankings in 2018, reflecting the strength of its flagship universities. Here are some of the most notable. The highest-ranked and oldest university in Malaysia, Universiti Malaya (UM) is ranked joint 87th in the QS World University Rankings® 2019 (up 27 places from last year) and is based in central Kuala Lumpur. With a student population of around 21,050, including over 2,900 international postgraduate students, UM has been steadily growing its multidisciplinary reputation, appearing in the global top 400 for 35 out of a possible 48 subjects covered by the QS World University Rankings by Subject, including positions among the world’s top 50 for development studies, every branch of engineering, and library and information management. Located in Bangi, Selangor, approximately 35km south of Kuala Lumpur city center, the Universiti Kebangsaan Malaysia (UKM) climbed an impressive 46 places in the 2019 world rankings, now claiming joint 184th place. Hosting a student community of almost 27,000, the school boasts particularly strong programs in the fields of education, politics, engineering, law and mathematics. The Universiti Kebangsaan Malaysia also has a graduate school on its main campus and a medical school located in the suburb of Cheras, with a branch campus within the capital. Universiti Sains Malaysia (USM), also known as the University of Science Malaysia, currently ranks 207th in the world and ranks within the global top 50 for its mining engineering programs according to the latest QS World University Rankings by Subject, with 28 positions in the ranking overall. The school has three campuses, with its main campus in Penang, its health campus in Kelantan and its engineering campus in Nibong Tibal. The school also has plans to open a global campus in the capital. Also ranked among the world’s top 250 universities is Universiti Teknologi Malaysia (UTM), which is ranked 228th and located in Johor Bahru. The oldest public engineering and technology university in the country, UTM specializes in technical studies and offers a comprehensive engineering division. This is reflected in the subject rankings, in which it appears 14 times, including in the top 100 for architecture and several branches of engineering. Also featured in the QS World University Rankings are: UCSI University (new for 2019 in joint 481st place), Universiti Teknologi Petronas (521-530), Taylor's University (601-650), Universiti Utara Malaysia (UUM, 601-650) and four more institutions. Many private universities in Malaysia offer a twinning or 2+1 degree option. This allows students to complete part of their degree in Malaysia and part at a partner institution in another country. This option has been popular, as it offers the chance to gain a degree accredited by a prestigious university in an established higher education destination (such as the UK, US, Australia, New Zealand, France or Germany) without paying the full costs of studying abroad for the entire length of the degree. 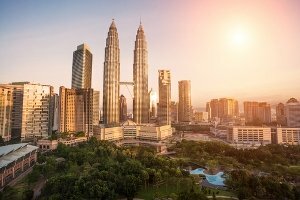 Although a key attraction of studying in Malaysia is the relatively low cost of fees and living expenses – certainly when compared to countries like the UK and US – Malaysia is much more than just a budget option for international students. Home to at least one of Asia’s most exciting cities, Malaysia offers beautiful landscapes and traditional Malay culture juxtaposed with breath-taking modern architecture. Combined with the influences of indigenous groups and the external cultures of India, China and Britain, the region boasts one of the world’s most culturally diverse societies. For those who want to make their study-abroad experience a real adventure, there’s plenty of scope to explore a diverse variety of natural landscapes – from orangutan sanctuaries and rainforest to beautiful beaches and islands. Bear in mind that while Malaysia is a very tolerant and open society, it can be rather conservative in regards to dress code. You should be aware of local norms and in order to respect these, you’ll need to stay fairly well covered when out and about, especially outside of the capital. A buzzing metropolis boasting the tallest skyscrapers in Southeast Asia, Kuala Lumpur is home to many of the top universities in Malaysia, including Universiti Malaya, Universiti Kebangsaan Malaysia, Universiti Putra Malaysia, the International Islamic University Malaysia and Universiti Teknologi MARA. The city is a jumble of styles, with the grand 19th century buildings of Merdeka Square, holding the remnants of the British Empire’s cultural influence, now in the shadows of the contemporary high-rise architecture soaring above the city center. The Golden Triangle is Kuala Lumpur’s most famous shopping and entertainment district, boasting malls, museums, high-rise towers and five-star hotels. 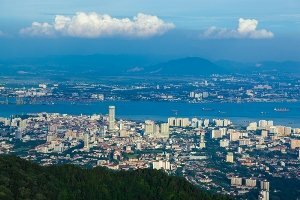 On the northwest coast of Peninsular Malaysia, Penang is home to another of the leading universities in Malaysia, the Universiti Sains Malaysia. As the East India Company’s first settlement on the Malay Peninsula, Penang, a formerly unpopulated, 28 square-kilometer ‘nut island’, became an important trade port. Although Penang’s power waned along with the collapse of the British Empire, its trading legacy lives on with a diverse population of entrepreneurial settlers of all origins, most notably from China. Today Penang trades in technology, having become Malaysia’s answer to ‘Silicon Valley’. The bustling capital of Georgetown, brim full of both ancient and modern trades, is where most of the thrills are, but the area also offers beachside resorts such as Batu Ferringhi and quiet fishing villages such as Teluk Bahang. Just north of the city state of Singapore, connected via a 1038-meter-long causeway, Johor Bahru, once a shabby border town, is morphing into a hub of global education thanks to the EduCity development plan, all set to join the top local university, Universiti Teknologi Malaysia. With the attention and investment the area is receiving, Johor Bahru has very recently become a lively and popular place to explore, to shop and to hang out. The weekends see Singaporeans flock to the area, though few traveling foreigners have yet to see the appeal of the cheaper and more authentic attractions and options in Johor. Change will continue for the next few years with the region set to see a steady influx of international university faculty and students, which will further promote a young and vibrant atmosphere of diversity and promise. The western part of the country, attached to the island of Indonesia, comprises more than 50 percent of Malaysia’s area. Although not home to any ranked institutions, Malaysian Borneo offers diverse scenery perfect for adventurous, outdoorsy students. Malaysian Borneo is divided into the states of Sarawak and Sabah, with the small enclave of Brunei in between. 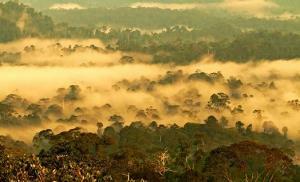 Both areas are covered by dense jungle, with many large rivers running through them, particularly in Sarawak. Sabah is also home to Malaysia’s highest mountain, Mt Kinabalu, standing at 4,101 meters. Already the world’s 11th most popular study destination according to UNESCO figures, Malaysia has even grander ambitions, aiming to be the sixth-largest education provider by 2025 with a target of gaining 250,000 international students by this date. Among the development initiatives introduced to achieve this is a new agency known as Education Malaysia Global Services (EMGS), which will provide assistance for foreign students applying to study in Malaysia. As of 2013, students wishing to apply to private universities in Malaysia should apply via EMGS with a ‘one stop application’, intended to make the process more efficient and allowing students to apply for multiple courses and institutions in one go. International students looking to study in Malaysia at a public university, however, will still need to apply for their desired program directly through each individual university. English is the language of Instruction of private colleges and some government universities in Malaysia, and is commonly spoken by Malaysians. For those less proficient in the language, most colleges offer English proficiency classes. All international students will also need a “Student Pass” and student visa. Gaining your Student Pass is simple and, once you are accepted onto a program at an accredited university in Malaysia, the school itself will directly apply for the pass on your behalf. Among the documents they will submit for you is a Personal Bond, for which you will need to pay a fee of around MYR200-2,000 (US$50-US$500), depending on your country of origin (full list here). Once both your acceptance and Student Pass have been approved, all students (for both private and public universities), will need to apply separately for a single-entry student visa through the Malaysian embassy or high commission in their home country. For this you will need to provide evidence of your offer of study and your Student Pass, have proof of financial stability to meet tuition and living fees, show that you are “in good health and of good character”, and confirm that you intend to live in Malaysia solely for study. Depending on where you’re from, you may also be asked to submit additional documents. Fees differ between universities in Malaysia, with the prevalence of international branch campuses and private institutions bringing the overall average up. In general however, studying in Malaysia is cheaper than many countries, with average tuition fees currently standing at approximately US$3,950 per year. 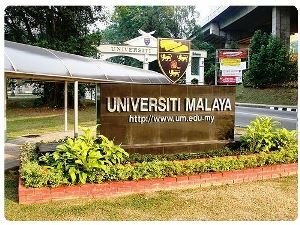 Surprisingly, the highest ranked university in the country, Universiti Malaya (UM), as a public institution, has an average which is again much lower, standing at as low as US$2,534 per year for international undergraduates. Although the prices of programs at Malaysia’s international branch campuses tend to be higher, they are still much cheaper than their international counterparts, while offering the same prestige. For example, if you were to take a bachelor’s degree in computer science from Monash University’s Malaysian branch campus it would cost MYR41,900 (US$10,000) a year, while at the original Monash University in Australia the price would be more than double, currently A$32,500 (~US$23,400) a year. The cost of living for international students in Malaysia is as low as MYR 14,400 (~US$3,440-4,600) per year, including food, travel and accommodation. While this is relatively low compared to many destinations, it is of course still important to plan your budget as early as possible, especially as your visa application will require proof of available funds. You will also need to bear in mind that international students are unable to work during term time. The only permitted times students can work are during semester breaks and school holidays of more than seven days, for no more than 20 hours a week and on a restricted category of jobs. This means that earning your tuition and living expenses as you go is not an option. Scholarships and grants are a common way for students to find funding to study in Malaysia. Individual universities in Malaysia will often offer scholarships or fellowships to international as well as domestic students, and information on these is available on their websites. The Malaysian government also offers funds for international students, one such fund being the Malaysian Commonwealth Scholarship and Fellowship Plan (CSFP), available to postgraduate students with a 2:1 degree or higher, or equivalent.